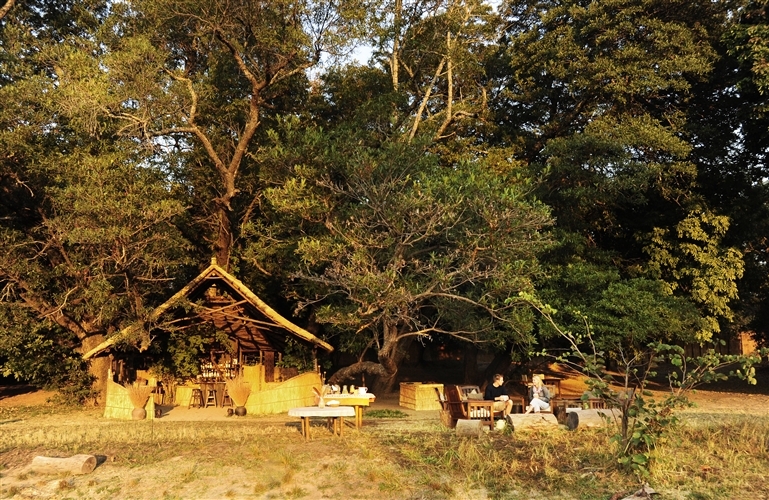 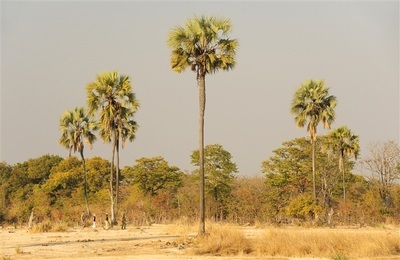 Luwi Bush Camp is situated away from the permanent waters of the main Luangwa River, making it truly remote. 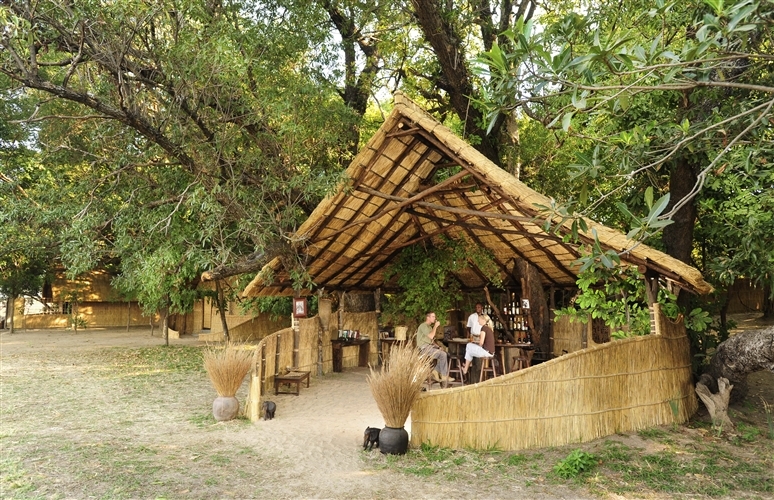 Accommodation at Luwi is in 4 grass and thatch huts, with polished mud floors. Each room is designed differently utilising trees and natural vegetation wherever possible. 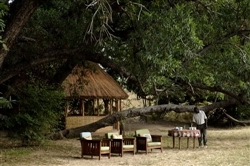 The design of these rooms lends the camp a rustic appeal and provides a truly African bush experience. A small thatch provides shade over the bar area, otherwise there is no formal central lodge area. Daytime meals are served in the shade of the trees above whilst dinner is taken under the stars accompanied by the many sounds of the Zambian night. 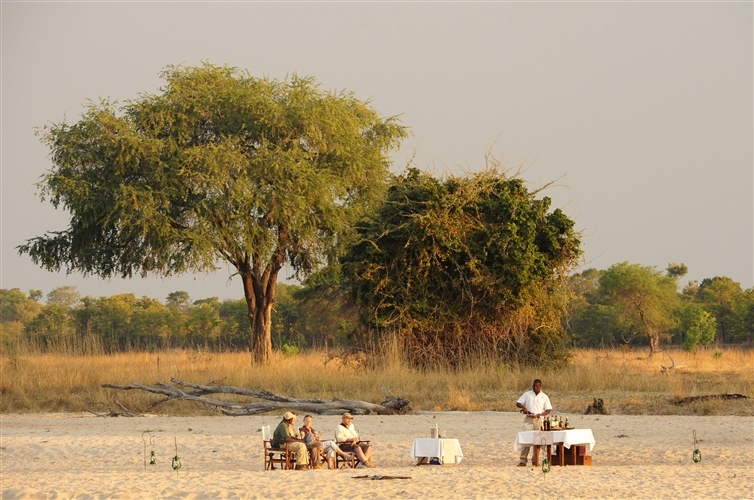 Most meals are served buffet-style, but for dinner you will generally be seated with the persons who have accompanied you on your safaris that day, plus your guide, giving you the opportunity to discuss your experiences of the day together. 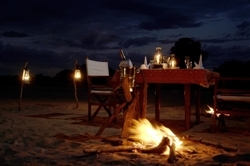 Dinner consists of a three-course meal, freshly prepared, cooked in camp and served to you at your table. 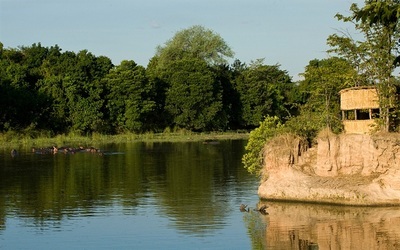 There is a large lagoon adjacent to Luwi Bush Camp that is home to a good number of hippo and crocodile. 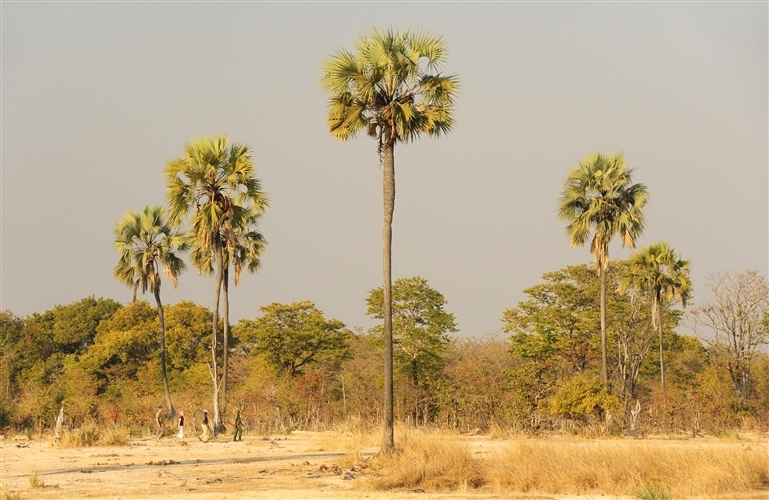 This permanent water source attracts wildlife from all around the area, making for some excellent game viewing opportunities. As this is a remote camp, the area has very few roads, and thus activities revolve around walking safaris. 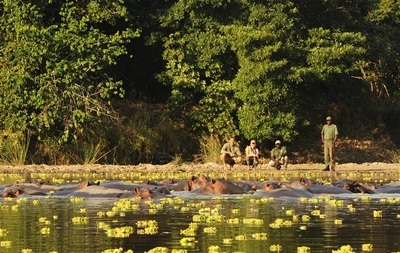 This makes for some enthralling wildlife encounters, and allows you to truly learn about the local habitats. remaining at Luwi, then you can relax in the afternoon, viewing the wildlife attracted by the lagoon, before a further safari later in the day.